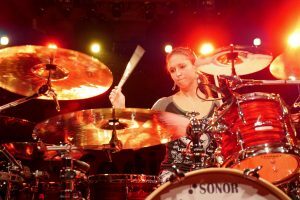 The freelance musician Emmanuelle Caplette won fame for her outstanding hand technique as well as for her graceful, yet powerful drumming. 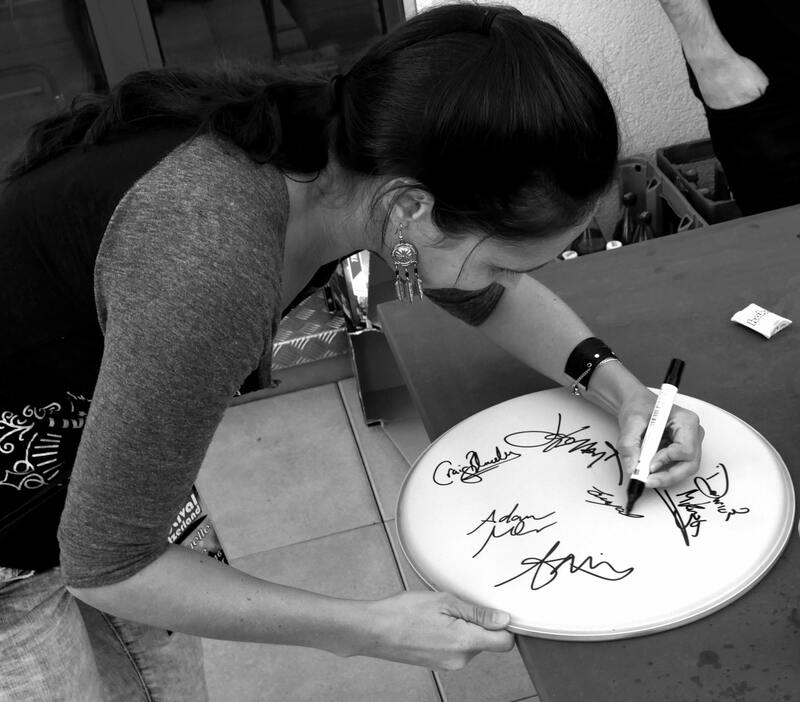 At the Drum Festival Switzerland, Emmanuelle showed me one of her favorite Stick Control exercises. 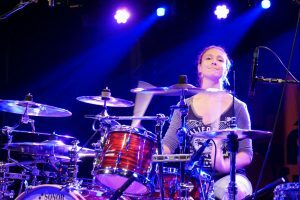 Always focused: Emmanuelle Caplette at the Swiss Drum Festival 2016. 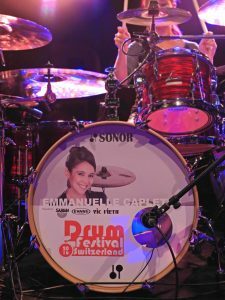 When Emmanuelle Caplette enters the stage at the Drum Festival Switzerland, only the headliner of the event is still warming up: Jojo Mayer. 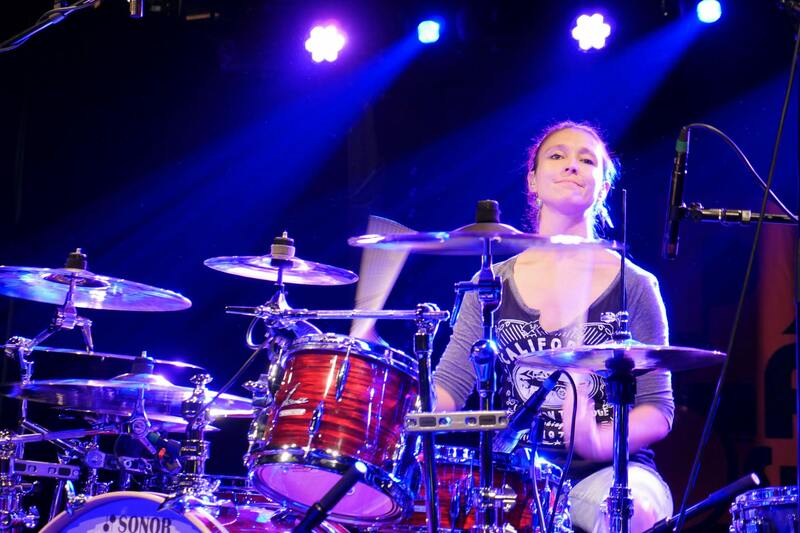 This kind of gives you an idea of how much Emmanuelle is respected and appreciated in the drummer world. With severe punch she gracefully hits all the proper notes during eight jazz-/fusion play alongs. It all looks so easy when she plays. And when she throws one of her many smiles after her strokes, it’s even surreal. Not a big deal it seems. Very cool and efficient, Madame Caplette. Emmanuelle combines punches and smiles with grace. To me it’s pretty obvious that Emmanuelle has always been a good student. She is very focused and plays complex rhythms with such ease that she must have practiced certain motions and stroke combinations a lot. 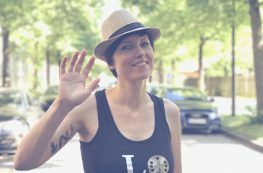 For she is not only good at teaching herself but also others, Emmanuelle Caplette gives lessons and clinics all around the world. Especially relevant for all of you, who don’t live in the Montreal area, this is the first year that Emmanuelle also teaches via Skype. 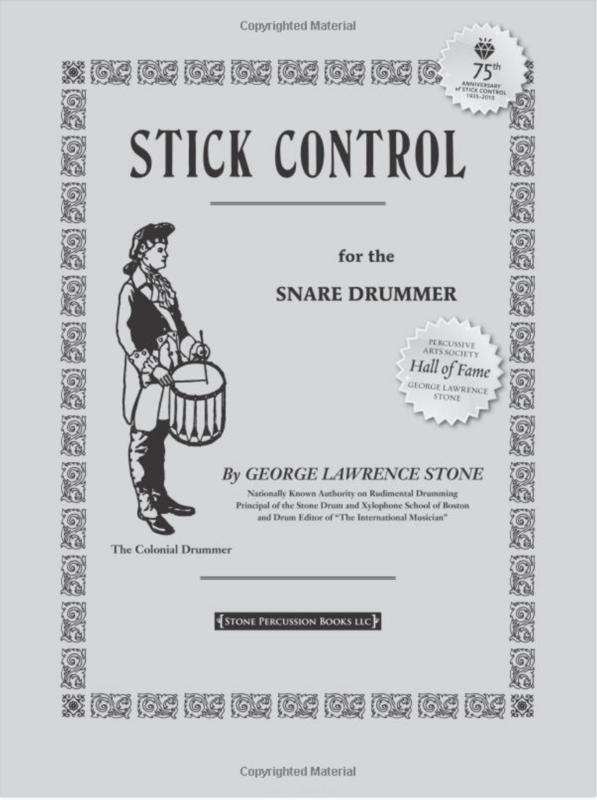 An absolute bestseller in drum method books even today: Stick Control from 1935. Let me rewind that day a few hours. In the afternoon I have a date with Emmanuelle backstage. Since the weather is great, we decide to do the interview outside. It’s also much quieter there. 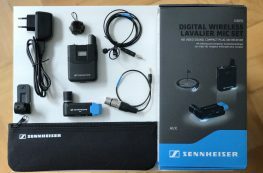 I’ve got her wired and my camera ready, when someone shouts some “Sorry!” from the side. 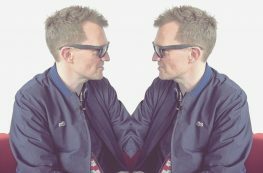 “I saw you play Toto – in the internet.” Who could it be? Of course, a fan, who is afraid he won’t see Emmanuelle so close again after the show in the evening. Selfie? Yes, let’s quickly take a selfie. Thus I keep my camera in the one hand, take his smart phone in the other and ta-taah! While one man is very happy already, I still need to get my interview with Emmanuelle Caplette on my memory card. Hence we start right away with the obligatory short profile. 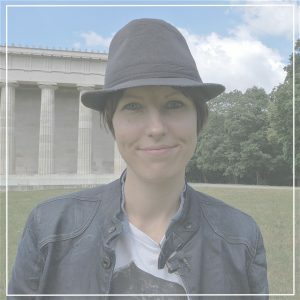 So watch the video and find out for example what kind of grooves Emmanuelle could play for more than two hours, from what she draws her inspiration and how she developed such great hand technique. 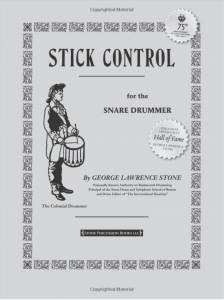 Speaking of, luckily Emmanuelle doesn’t mind to show me one of her favorite exercises out of the Stick Control book. How are your 32nd note singles and doubles come? Ready for a simple, but effective lesson? Well, watch the video and have fun. Emmanuelle during the Meet & Greet event of the Swiss Drum Festival 2016. At the Drum Festival Switzerland each artist also got featured on his / her bass drum.